Ovation Min-E-10CWZ complements Ovation Min-E-10WW in a cool white LED version with zooming optics. 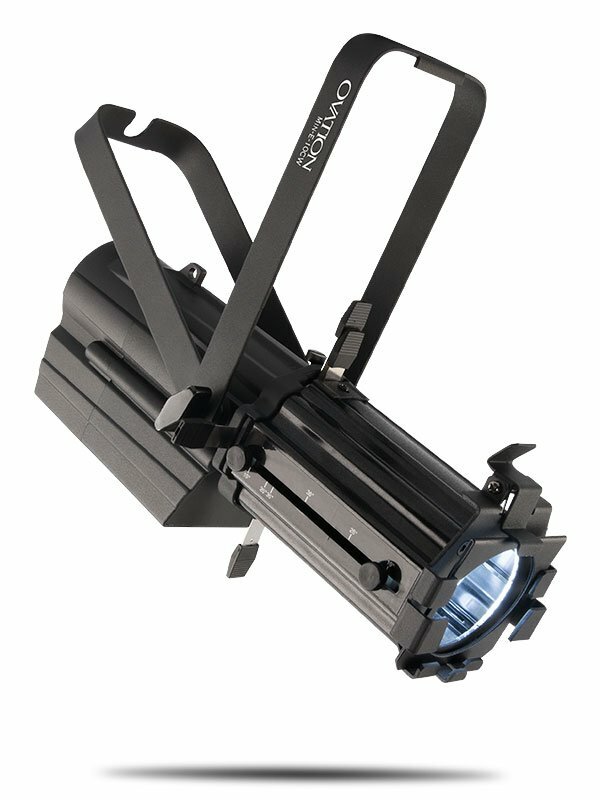 This ultra-discreet ellipsoidal is perfect for punchy gobo projections in a multitude of applications. It features a four-blade shutter system to efficiently and cleanly crop light from unwanted areas with nice crisp edges. The 19° to 36° zooming optic provides the flexibility to precisely adjust your projection size. Ovation Min-E-10CWZ is easily dimmed using traditional dimmer packs.